Last year, we headed out with a rig full of beer and a few empty kegs to return to the mainland. This year, I return with a toddler (it must have been some bash last year). It's twelve hours long, and you can come and go as you please. It's only Canadian beer, and includes beer from every province and one territory. 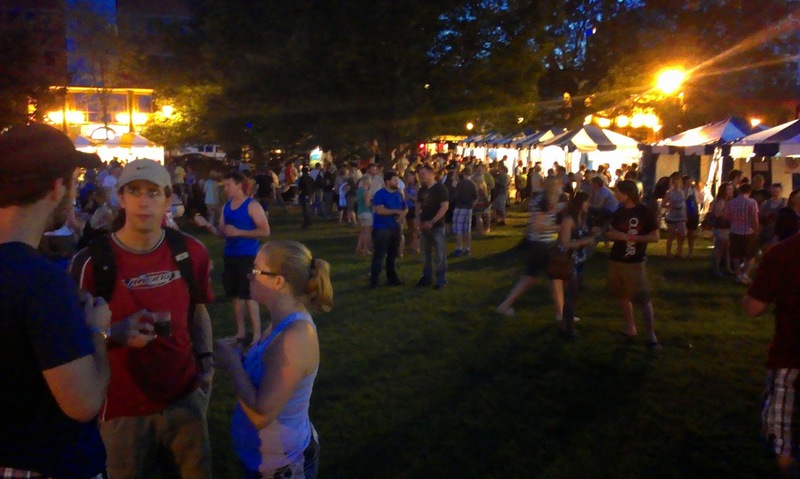 Last year, there was something like 60 breweries and 300+ beers. This year, I counted 64 brewers, and most likely more offerings (don't know how many yet, as there's no pre-bash list this year). The breweries don't cheap out - in more than one way, but the one I want to emphasize is that they don't just serve their most mainstream / cheapest stuff. There was (and will be this year) some rarer and more expensive stuff to try out. Fredericton's got free WiFi downtown (why doesn't everywhere?!). 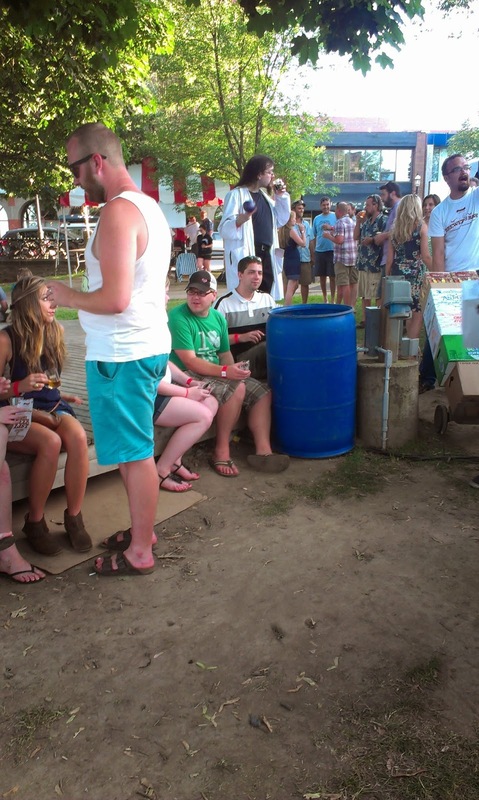 It's a great crowd, complete with interesting people - like the balding guy with the long hair, goatee, lab coat, and glittery ball that he kept rolling in one hand while drinking with the other all day. Don't believe me? Check the picture. Nearby eats. King Street Ale House, The Snooty Fox (which provided me with some kind of spring roll-like bacon cheeseburger fried things late that night - just the right thing), that sushi place kitty corner to Officer's Square... all good options. The price. $25 for eight samples, plus the musical entertainment later. Last year was a personal fave of mine, the Skydiggers, with Deep Dark Woods. This year, it's Zeus (another big fave of mine) with a couple of soulful backing acts, Cydni Cain and the Chronos Band, the latter of which sounds like one tight bunch with some serious groove. So much variety to imbibe, for everyone from the new-to-beer person to the beer snob/geek. It never felt crowded. Lineups were never that long - mind you, there are 50% more people there this year... but I think it should still end up comfortable. Don't have a ticket for this Saturday's Bash? don't despair. They are still looking for volunteers for four hours of work (leaving you up to eight hours of drinking). Check out their page for more. I read what I thought was a very unflattering article yesterday in Taps Magazine regarding Picaroons and diacetyl. I’m sure it was intended to be a justification for frequent “butter bombs”, claiming diacetyl is controversial, and thus somehow acceptable, however I’m afraid it merely succeeded in pointing out a brewer that doesn’t know, or care that much about quality control. The elephant in the room seemed to be almost completely ignored – beer infections. A most pathetic article by Craig Pinhey. Hey, J.J. Is there a link to that article online anywhere? I'll search for it now, but I'll also ask you... just in case I can't find a free one (got Taps for a couple of years, but not at the moment). Dunbar's always said - to seriously paraphrase, and, please,someone correct me if I'm wrong, but I'm pretty sure I'm not - that it's OK for beer to be "dirty" and that he likes it that way. Diacetyl is controversial, as it can sometimes be confused with strong toffee malts, too (I've been called on that, too, right or wrong), and some people are way more sensitive to it than others (some don't seem to care, and for others - like me - it ruins it). If every bottle was the same, maybe Picaroons could stand by it, but, as it is, every pint and bottle can vary wildly, which can infuriate and turn off people like me. Anyway... if I keep on going, I'll start e-ranting, and nobody needs that. Steve, Taps will post the occasional article on their web site, but this isn’t one. I stopped my subscription a while ago because I found the reviews too full of fluff and many of the articles were vague and poorly researched. Craig Pinhey’s stories are some of the worst, and he is definitely not a technical person when it comes to brewing. I guess Sean Dunbar pretty much has to say he likes “dirty beer”, when that is about all he’s capable of making. What a ridiculous thing for a professional brewer to say? But when you stop to think that neither Dunbar or his head brewer have any credentials or formal training, we shouldn’t really be surprised. If you can’t fix or control your process, the easy answer is to tell people that’s the way it was intended. Confusing diacetyl with a crystal malt character does not make it controversial. Poorly made infected beer is always a serious fault, and it’s giving craft beer a black eye. A friend who works in a micro lab actually plated a fresh bottle of Best Bitter, and the spoilers that grew were unbelievable. I would guess that Pinhey is Dunbar’s buddy and was attempting to do him a favour. And boy, did that ever backfire. When was the last time you heard about a dairy or bakery boasting of sour milk or moldy bread? They have a pretty hectic brew schedule (three shifts a day) over there. Pushing things to the max can't help, I'm sure. That, and the fact one of their newer brewers has - by his own admission - no sense of smell. As for the lab test... what was in it, specifically... do you know? I'm sure there's things in unpasteurized beer that, given the chance, will thrive on nutrients in an incubator. Steve, I don’t think there is any doubt that fermentations are being rushed for the sake of productivity. When you have a 3 day fermentation, with no diacetyl rest, and a Ringwood yeast is involved, one should not be surprised if the diacetyl threshold is breached. There was no means to ID the colonies, but with the spell of butter and vinegar wafting from the dish, it was likely Pediococcus and Acetobacter. Pinhey’s commentary can only be described as dumb. 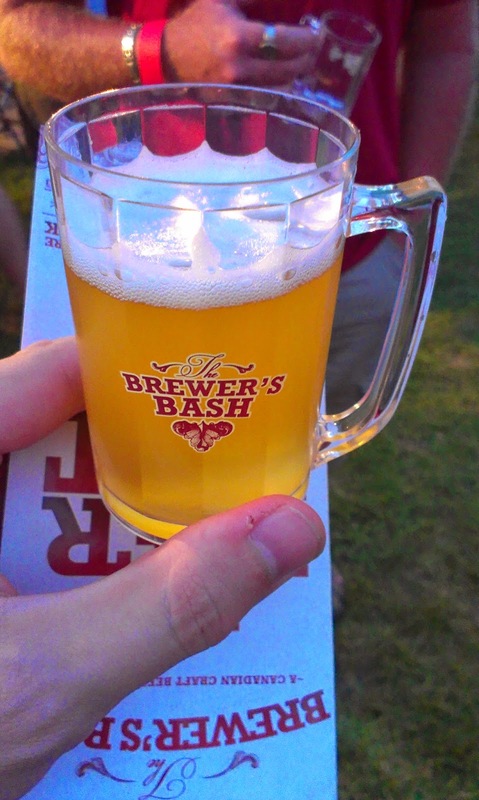 It’s easy to see why the Brewers’ Association has lashed out against such poor quality craft. Agreed. Time to stop making up excuses for poor quality beer.